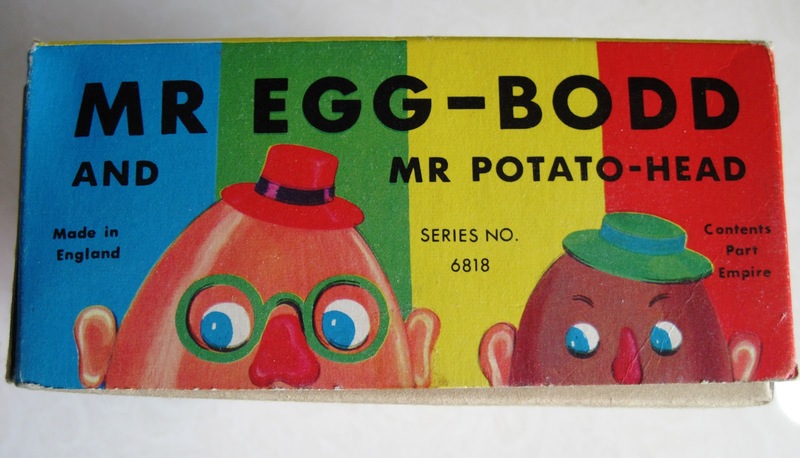 Meet Mr. Egg-Bodd, Mr. 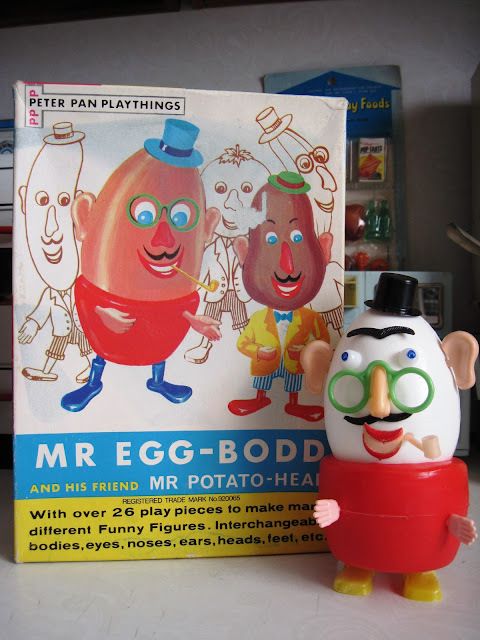 Potato Head's friend made and sold in Great Britain in the 1960s. Mr. Egg-Bodd is very different from other Potato Head friends of the time, because, as his name suggests, he has a very unique body. While Mr. P and his various fruit, vegetable, condiment, and other pals all shared the same humanized plastic body, Mr. E's is made from an egg cup. He came in a colorful box along with a Mr. Potato Head. The box end features a cartoony panel of the two characters peeking over the edge. Mr. E is depicted as a brown egg on the box, although the actual egg inside this set is white. 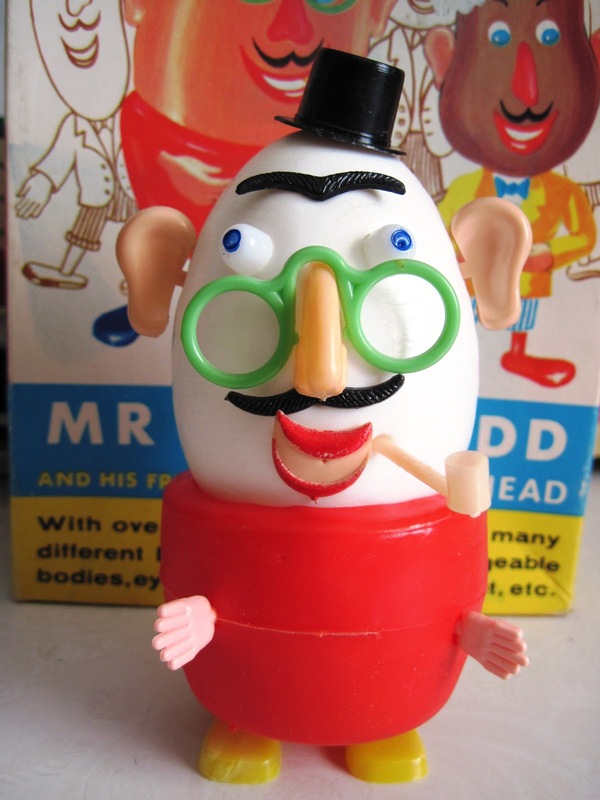 Mr. Egg-Bodd is a stylish fellow, sporting a top hat, pince-nez glasses, a pipe, and a very dapper pencil moustache.